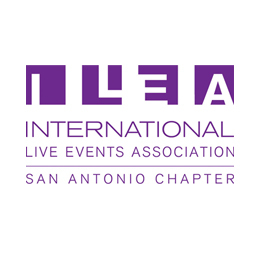 The International Live Events Association (ILEA) was founded to foster enlightened performance through education while promoting ethical conduct. ILEA works to join professionals to focus on the "event as a whole" rather than its individual parts. ILEA has grown to involve nearly 5,000 members active in 30 chapters throughout the world. Membership brings together professionals from a variety of special events disciplines including caterers, meeting planners, decorators, event planners, audio-visual technicians, party and convention coordinators, educators, journalists, hotel sales managers and many more professional disciplines. The solid peer network ILEA provides helps special events professionals produce outstanding results for clients while establishing positive working relationships with other event colleagues. The San Antonio Chapter began its formation in 1999. Although there were efforts to start a local chapter before 1999, according to Jay Hall, “it was time to get serious and take the steps necessary to start a chapter here.” The time was right! Several industry professionals felt that a chapter would bring together those in the local event industry. “There was a need to know each other, help each other and learn from each other.” As the process began to start a chapter, several of the founding members attended ILEA meetings in Houston and Dallas. Austin was also in the process of starting a chapter and the International consensus was that we should be one chapter. Without the efforts and determination of past members and leaders like Jay Hall and Caryn Hasslocher with Fresh Horizons, the San Antonio Chapter would not be what and where it is today. It was the culmination of many like Hall, Hasslocher and 18 founding members to know, support and learn from each other. There was a need for an association like ILEA to provide the framework to build a network of like mindsets, businesses and services to support the growth of the events industry and city. It was very beneficial to connect, share stories, experiences and methods to better the processes we all encountered. The time was right for the ILEA San Antonio Chapter to form. Many people helped propel the interest and enthusiasm for ILEA San Antonio even though they were not locals. 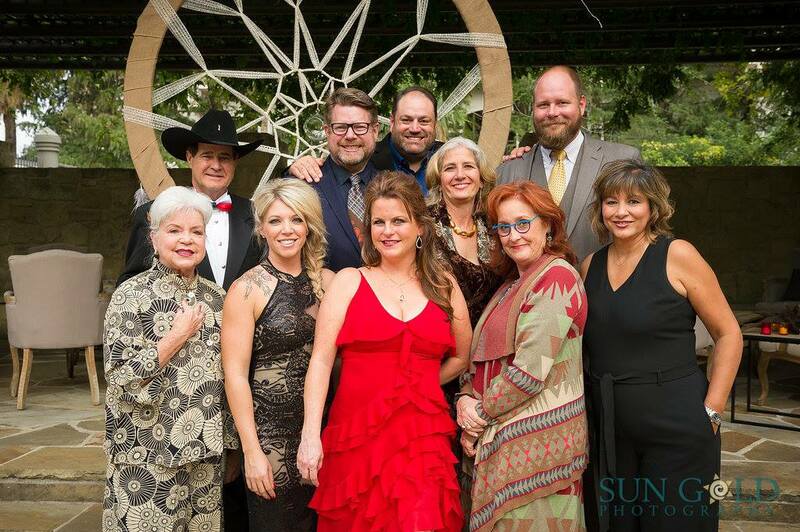 Debbie Meyers-Shock with Bravo Entertainment out of Dallas as well as Damon Holditch with Marquee Event Group out of Austin were both inspirations to the founding members of the San Antonio Chapter. Of course, there was skepticism about becoming a member too. There were those and are those who feel that, “they knew it all!” Hall made note of a comment made by a visiting international president, Lena MaLoof from Australia. MaLoof stated, “…it’s what you learn after you know it all.” Looking back, Hall studied The Special Event Magazine she received each month. It motivated her to attend a Special Event Conference in Dallas with another industry friend. It opened her eyes to an amazing industry of opportunity to learn and focus attention to event details. Hall made local, regional and national connections after attending the conference and it led to greater opportunities. The years that followed introduced her to others involved in the tourism and hospitality industry. Hall stated, “Meeting good people and being part of their events makes you want to be better!” Seeing people learn, seeing them increase their knowledge and value is still a personal reward and measure of enlightenment for Hall. Hall is retired, but remains active with several organizations in the city. She is still amazed at the growth of the hospitality and tourism industry as well as the advances in the innovation and technology for every aspect of the event industry. Hall loves seeing the people getting involved. She ends with mentioning that she has always known how to change a light bulb, however, the light bulb is different…it has changed…things change. Being a part of a group of likeminded people like ILEA helps you see, prepare and be part of change…live and learn. Look for Jay Hall at various meetings. She has many great stories and experiences to share. Below, is a picture from the 2017 Antonian Awards. The Award Theme was focused and tied to the History and San Antonio and the upcoming Tri-Centennial Celebration. We invited the past presidents to attend our awards ceremony and paid tribute to their efforts. Below the photo is a list of past presidents who have helped lead the San Antonio Chapter. Without each of their influences, our chapter would not be where it is today.